Salesforce.com has acquired business intelligence and analytics startup BeyondCore, as part of its strategy to make its software more intelligent. “I am thrilled [to] announce @Salesforce has acquired @beyondcoreinc to enhance the AI capabilities of Analytics Cloud,” wrote Salesforce CEO Marc Benioff in a tweet on Monday. The financial terms of the deal were not not disclosed. 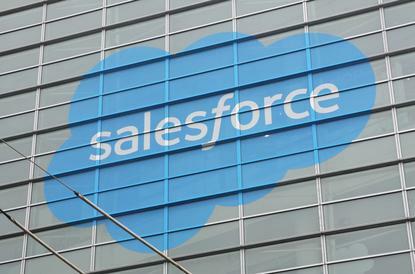 BeyondCore in San Mateo, California, had already started integrating its product with the Salesforce platform. At the Gartner BI Summit earlier this year, the company showed off this integration, which would be part of its upcoming BeyondCore 7 release, wrote CEO Arijit Sengupta in a blog post. “Business user after business user told us how wonderful it was that smart analytics was now embedded into an application they use every day. At this point, our two teams naturally started brainstorming what more we could do together,” he added. BeyondCore, which uses smart pattern discovery technology, is expected to extend its analytics capability across the Salesforce platform. It will become part of Salesforce's Analytics Cloud, which the company launched in 2014 to provide tools to businesses to better analyze data from their interactions with customers. “Of course, we’ll continue to deliver our innovative technology to customers as part of Salesforce and deliver the same great service you’ve come to expect from us,” wrote Sengupta, who encouraged users to take a free trial of the service. Salesforce has made a number of acquisitions in the business intelligence, machine learning and analytics space, including that of MinHash, Tempo AI and RelateIQ.